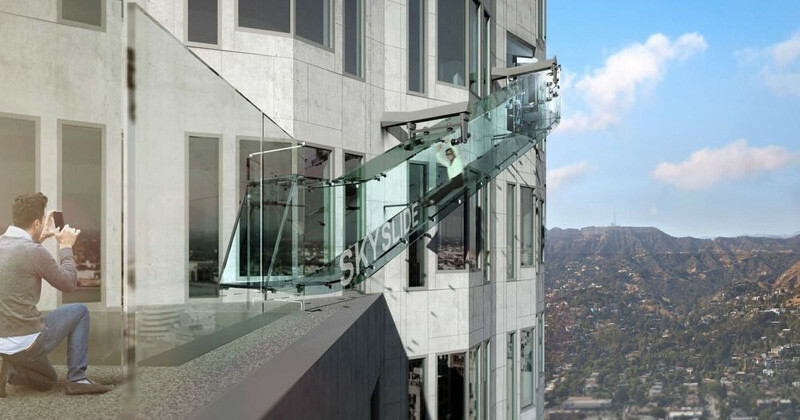 Renderings by Gensler, Courtesy OUE Ltd.
We’ve heard a lot about glass suspension bridges and viewing platforms lately, but now there’s going to be a glass slide…yes, a glass slide…located 1,000 feet above the sidewalk in Los Angeles, California, that you’ll be able to slide down. 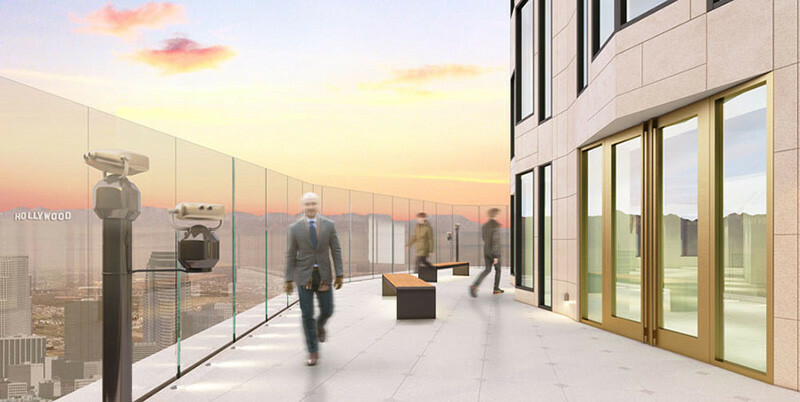 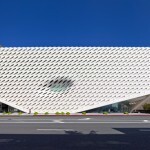 Skyslide, designed as part of the OUE Skyspace LA attraction, will be California’s tallest open-air observation deck, providing a 360-degree view of Los Angeles. 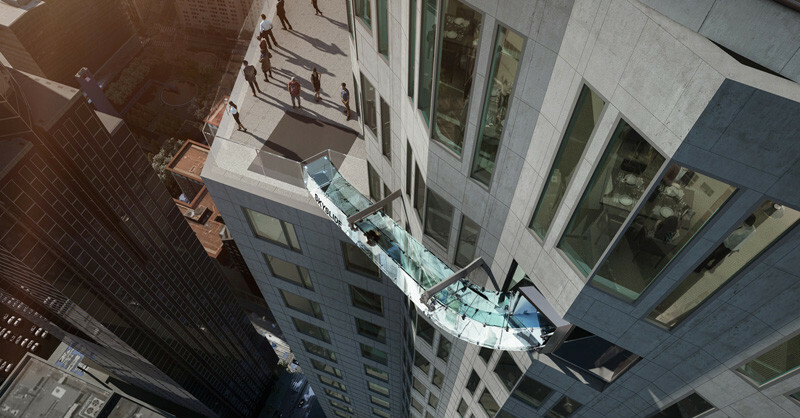 Here’s a few facts, it will be made from 1.25″ thick clear glass, it will go from the 70th floor down to the 69th floor’s outside observation level, and the slide will be 45 feet long.